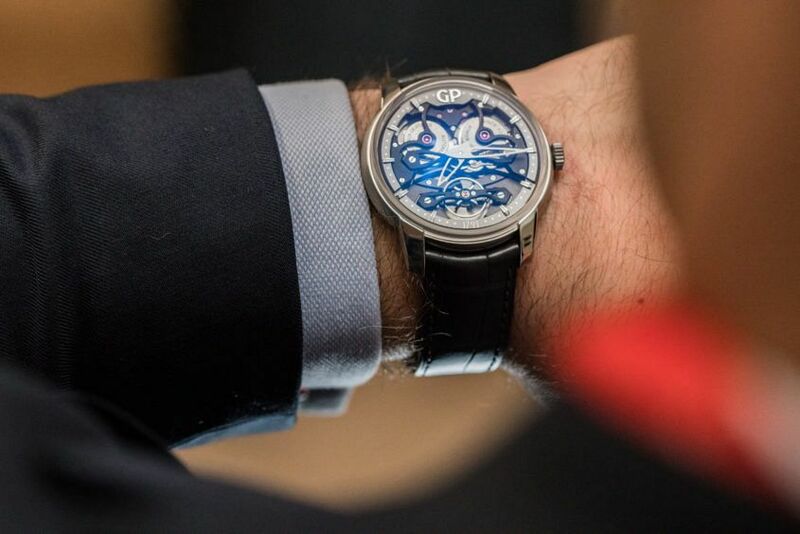 As one of the oldest continuing watch manufacturers in the world, Girard-Perregaux have a long, illustrious history of sharp and innovative designs. In 1889 at the Paris Universal Exhibition, the brand’s legendary pocket watch “Esmeralda”, a tourbillon with three gold bridges, was awarded first prize, establishing the motif as an emblematic design for the brand. 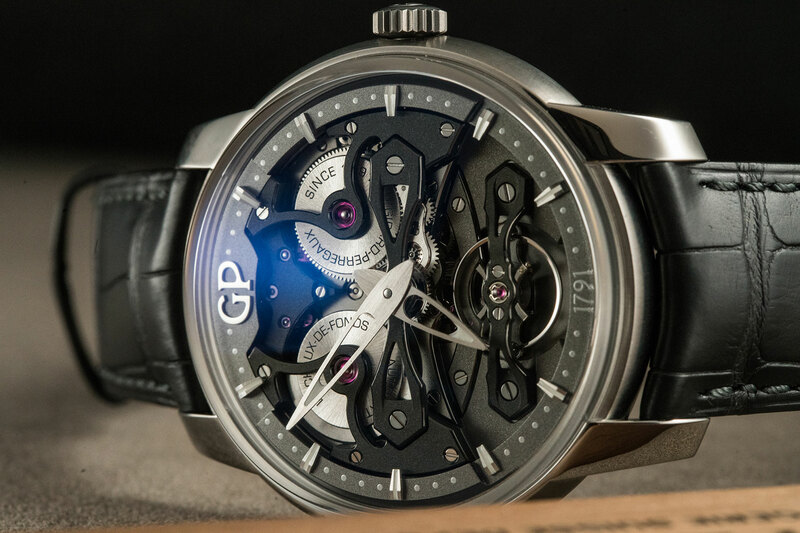 Since then, the iconic Tourbillon with Three Bridges has formed the cornerstone of GP’s top tier collection. This year saw the addition of the Neo-Bridges, a “retro-futuristic” take on the design, which embodies the long-standing traditions of the brand while adopting its rediscovered forward-looking approach to watchmaking. Distinctively modern, the dial of the Neo-bridges is fully open-worked and essentially consists of an outer ring with suspended indices and minute markers – laying bare the front side of the newly developed automatic calibre GP08400-0001. 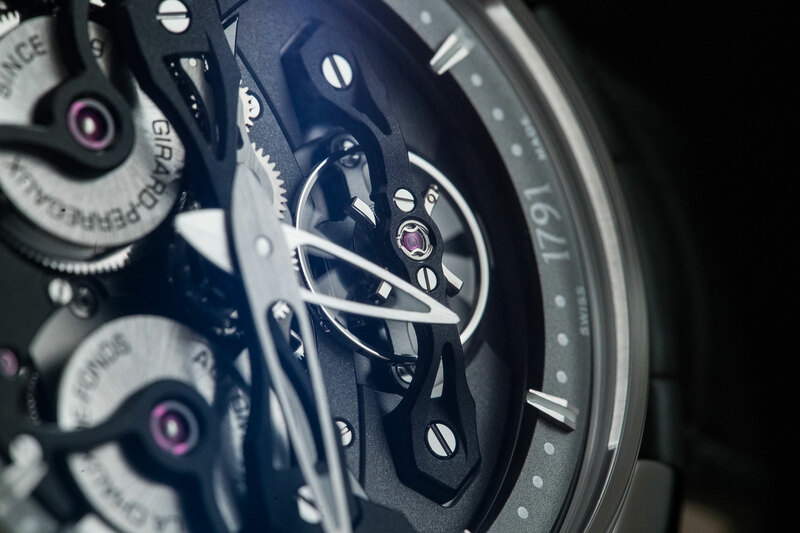 However, the movement is anything but bare, with its inner workings showcased in a mixture of matt sandblasted finishes, an NAC-coated mainplate, and a PVD treatment on the hallmark bridges. These bridges span across the dial, with the lower bridge supporting the large, 10.15mm diameter, variable-inertia balance wheel (instead of the familiar tourbillon as seen on other models) – its generous size making it less prone to disturbances and therefore more accurate. Mounted on the upper bridge are the hollowed-out hour and minute hands, with a small coating of lume on the inner side of their pointed tips. 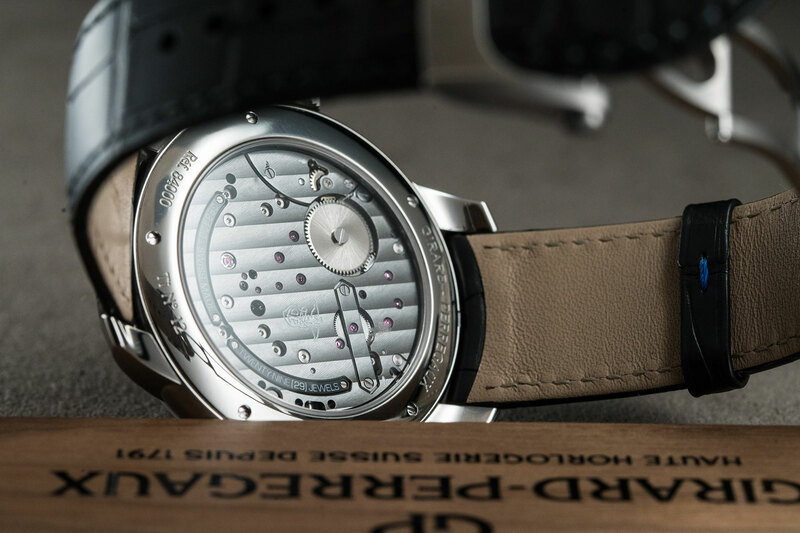 If you were to look through the display caseback, you’d be forgiven for assuming the movement was a manual wind, as many of its components (including its micro-rotor) are only viewable through the box sapphire crystal fitted on the front of the watch. The barrel of the mainspring (good for 50 hours of power reserve) is positioned at 2 o’clock and paired on the same axis as the micro-rotor at 10, adding to the dial’s harmonious symmetry. The warm grey titanium case, with its alternating polished and satin-brushed finishing, adds to the monochromatic tones of the dial and measures a sizeable 45mm in diameter and 12.18mm high. The lightweight case is paired with a dark grey alligator strap with a matching titanium triple-folding buckle. 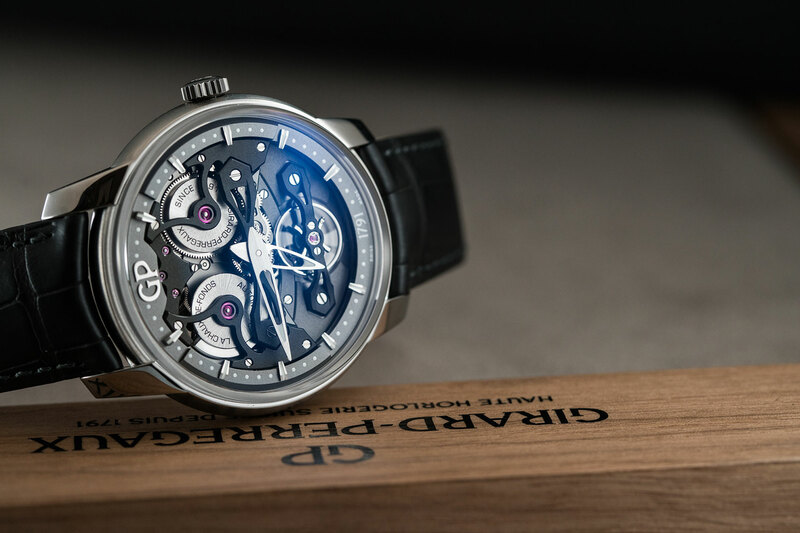 Girard-Perregaux’s Neo-Bridges offers a balanced design, firmly anchored in the brand’s past as it rapidly moves towards the future. It’s a watch that effectively bridges the gap (pun intended) between their rich history and innovative future.